Krzysztof has over 13 years of experience in geotechnical and environmental services, from working as a trainee driller before progressing to a lead driller back in 2007. 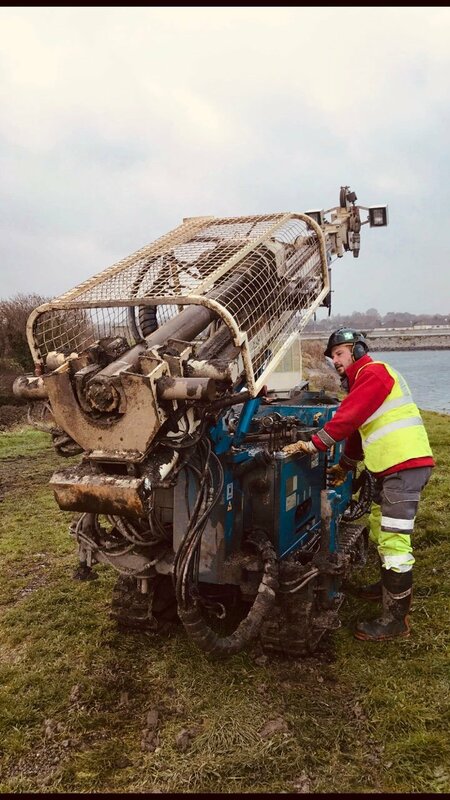 He joined Causeway in 2018, where he works as a Lead Driller mostly on rotary rigs, but occasionally on dynamic sampling and cable percussion rigs to boot.His specialist experience includes operating all types of drilling rigs which include dynamic sampling, cable percussion (NVQ L2) and rotary drilling (NVQ L2).He has worked on some challenging sites such as The Corrib Gas Pipeline in Co Mayo, DIAGEO (Guinness factory Dublin) and numerous other projects throughout Ireland and the United Kingdom.He has had the opportunity to work alongside e drillers from USA Kansas such as Sam Silverman learning a lot of a mud rotary and auger methods of drilling. He has also been fortunate enough to work variety of rotary rigs throughout his career to date, such as the Comacchio 205, 305 and 405; CME55, Beretta T44, Massenza M15 and Hanjin D8.He’s experienced in a broad range of rotary drilling methods, such as air rotary; mud rotary with use of different types of roller, drug and casing advancer bits, Hollow Steam and Continuous Flight Augers; wireline coring (HQ, HQ3, PQ, PQ3 and Geobor S).Krzysztof is very passionate about geotechnical drilling with an enthusiasm for his work and a knowledge of drilling systems that he’s only too happy to share with colleagues and client alike – anyone who’ll listen!